I loved this book! It was a bit of a twisted tale done in an interesting fashion, similar to an Alfred Hitchcock story. The writing style was superb and the characters were all fascinating. 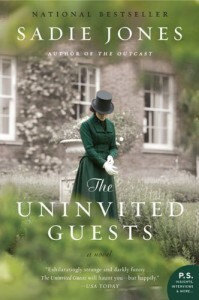 The Uninvited Guests is primarily a historical mystery and Sadie Jones made the characters quite real with her acurate use of language for the time period.